These two Homeric words for the depths and the vast expanses of the sea Greece bequeathed the scientific world as terms to define all life forms living on, in or near the bottom (benthos) and the water column (pelagos) of oceans and lakes. In their latter cosmopolitan sense, we now invite them back home, coupled title of this virtual journey in places, faces and tales from Greece under the seas, in the mere hope that by bringing them into sight, we will eventually mind. 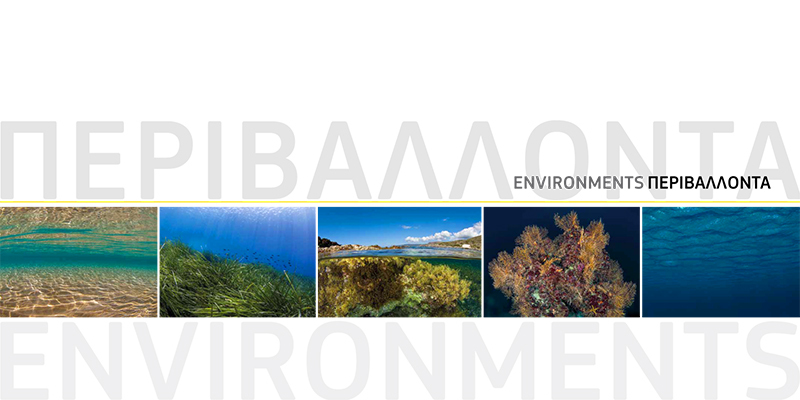 Square format 27x27cm bilingual (Greek and English) book, published by the Hellenic Post, also containing 10 original stamps of the 2012 definitive stamp series "Riches of the Greek Seas". 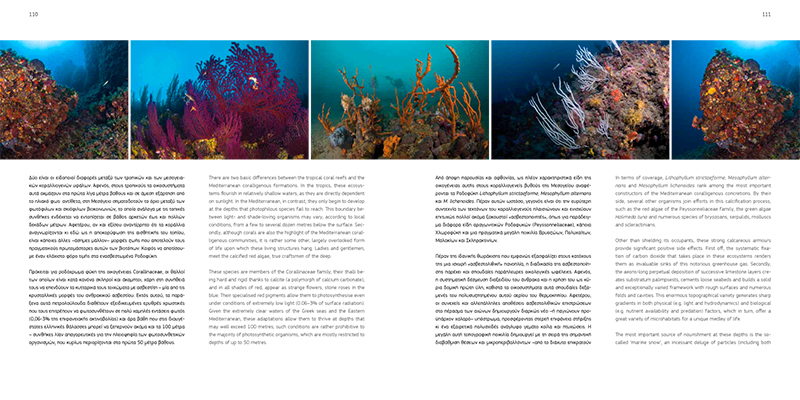 264 pages full of vivid yet scientifically accurate text and award-winning underwater photography that colourfully present the main marine environments of the seas around Greece and their uniquely adapted denizens, coupled with exciting stories about their behaviours but also informing about the threats this unique part of the blue world is facing. 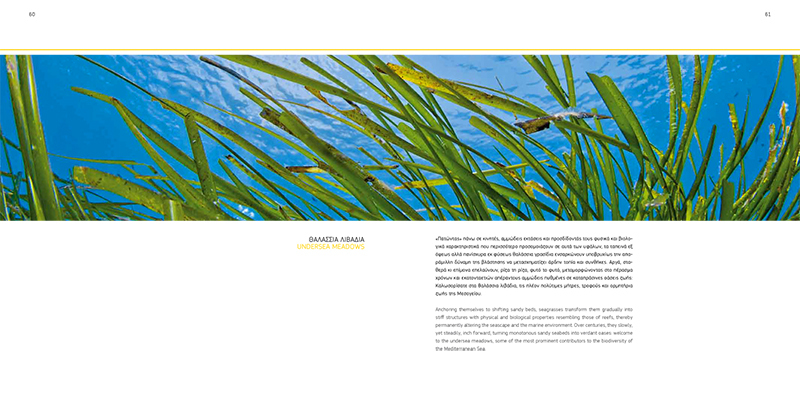 Concept and photography by Yiannis Issaris, texts by Maria Salomidi, foreword by Pierre-Yves Cousteau.